So, a couple nights before Little Man’s first birthday, we had a bridal shower at church. For my sister-in-law. You know, the one who got married back in June? Yeah, we’re not really on top of things. Anyway. My sister and I were requested to make some decorated sugar cookies for it. We’d never made wedding ones before, so this was our first try. We stuck with wedding cakes, and made just one design to keep things simple during a really busy week. We tried a new technique, using “20 second” flood icing. 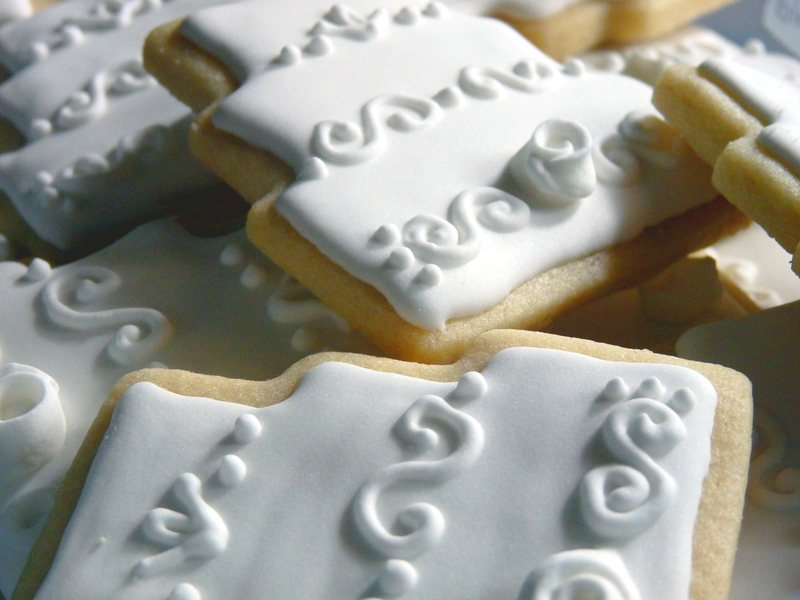 That means you thin out the royal icing until the consistency is such that if you draw a knife through it, the line disappears in 20 seconds. 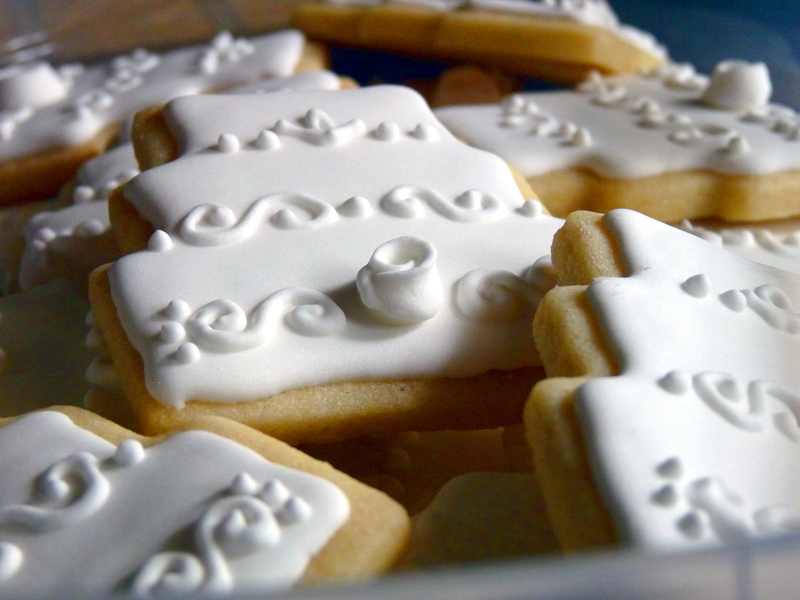 We put that in squirt bottles and used it to make the background of the cookies without having to pipe an outline. 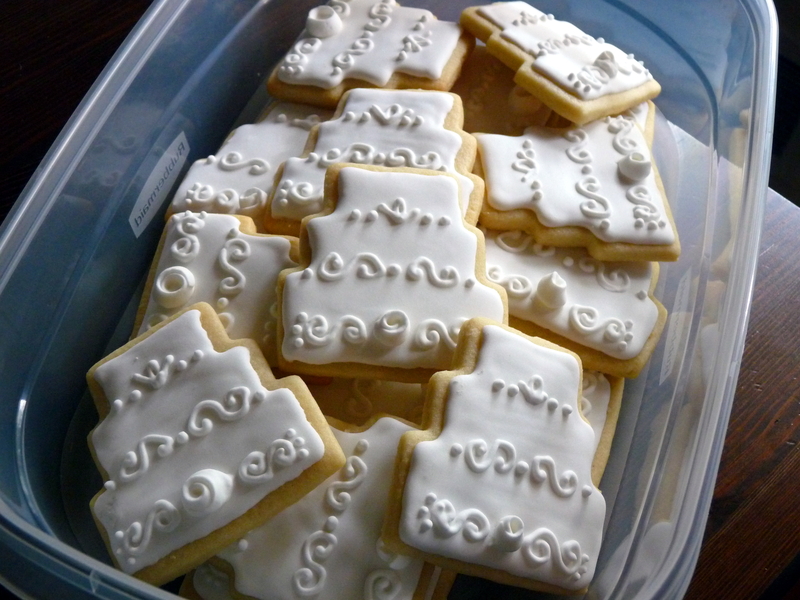 After the flood icing dried for a while, we free-hand piped a single design on each cookie. The rosette was by far the most difficult. It would have been way easier to have made the roses ahead of time on wax paper and let them dry overnight. 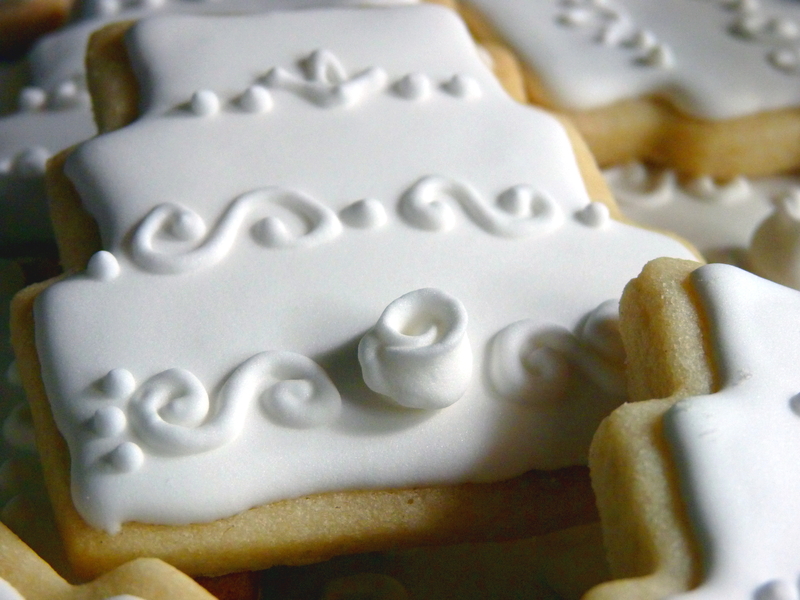 Then we could have just plopped them on the wet flood icing to stick. But, alas, we didn’t have time to do that. So we just rolled with it. For a while we weren’t sure if these were going to end up looking ok. But in the end, I think they worked out. Is there a specific recipe for the 20 second icing. Not have to pipe the outline would be AMAZING =) They are truly beautiful. Love. The only difference is adding water after you’ve made the icing. Add a small amount at a time, and stir slowly and thoroughly (to avoid bubbles) until it’s the right consistency.